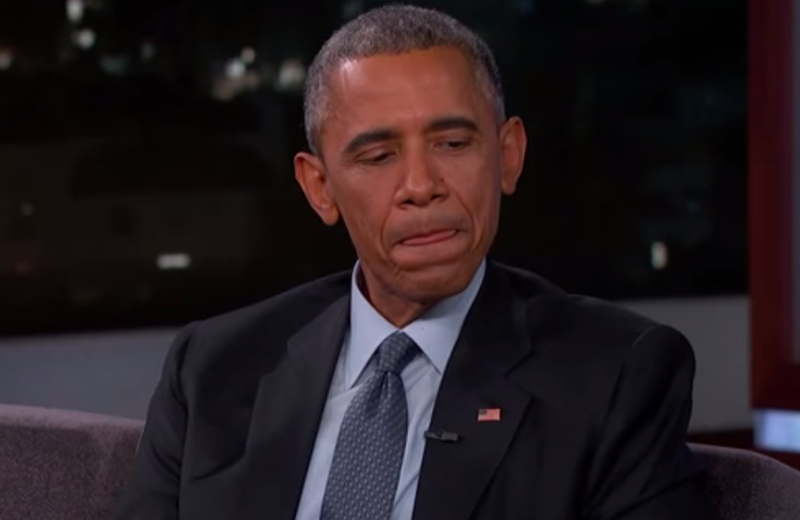 Barack Obama was recently on "Jimmy Kimmel Live!" and among other things - Jimmy and Barack spoke about the President's relationship with Kanye West. Included here is video here of both men - providing us a great opportunity for contrasting their body language. Beginning at 1:07 the President continues, ".... look, I love his music, he's incredibly creative - um [tongue jut at 1:10] - I don't think I've got his home number ...."
The tongue jut at this moment indicates a self-outing/self-deprecation regarding his deception. Think of this as the President saying, "I've been bad" or "I've been caught". It's possible that Barack has Kanye's cell number (and not his home number) or that it's the White House switch board that has Kanye's number (and it's not in the President's personal phone) - but there is some level deception transpiring here. In addition the word choice of, "I don't think" (vs. the much more honest and definitive statement of, "I don't have") - represents an additional level of presidential hedging. Note also Mr. Obama's tongue jut occurs immediately after he says, "... um ..." - such timing is also highly suspect of a lie. "I've been bad" or "I've been caught"
"... I love Obama. He called our house before - he knows that. Don't try to pin us - against each other. Come on bro', don't try and pin us against each other. No listen, I love Obama ...."
During this statement, Mr. West had a very loose (right) wrist and indeed displayed a highly characteristic, "Broken Wing" configuration (captured here at 0:32). The body language of a broken wing indicates Kanye is very emotionally comfortable and not feeling threatened by this apparent contradiction between his claim and the President's statement to Jimmy Kimmel. This tells us that Kanye is not lying and indeed it's highly probable that the President's staff prepped him and let him know that for reasons of public perception, Mr. Obama had to deny any perceived friendship with the musician. West is okay with this and knows this dance. 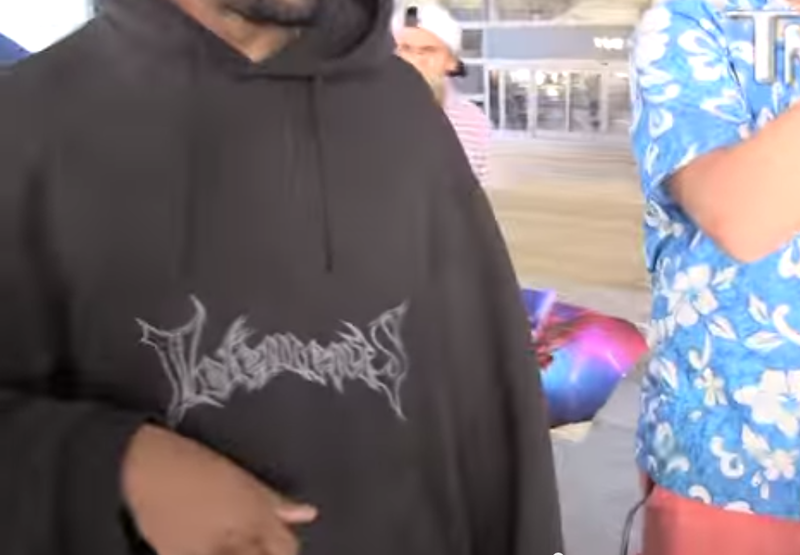 What other Body Language clues to the full story do you see on Kanye?